Lauren creatively solves nuanced client problems, a skill first learned while working the front desk of a major Las Vegas hotel. Whether counseling startups or steering multi-million dollar corporate mergers and acquisitions, Lauren hears goals, ideas and challenges clients can’t always articulate. Having worked at a major hotel, she took ownership of numerous guest challenges, listened for unspoken complications, then quickly and confidently offered solutions. She’s found these high-level customer service skills make for good legal response and strategy. 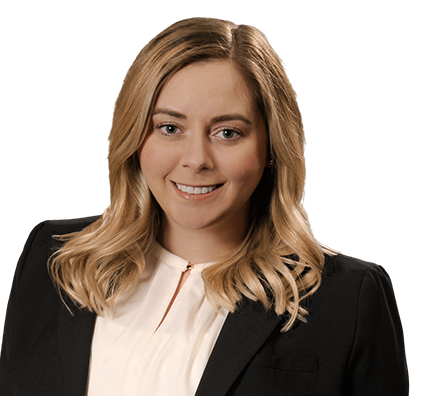 Lauren counsels companies on all aspects of transactional matters, which include the initial start-up phase, corporate governance, debt and equity financings, and mergers and acquisitions. Her work includes negotiating, drafting and reviewing a wide variety of documents. Additionally she was a legal intern for the U.S. Securities and Exchange Commission. Lauren especially likes being part of a large national legal team that collaborates to find optimal solutions for clients. Drafting and negotiating primary and ancillary documents for investments – both company and investor side – and mergers and acquisitions. Performing due diligence research and data room management tasks and communicating with clients and other professionals to coordinate document disclosures as part of due diligence. Drafting and negotiating medical device intellectual property asset purchase with cash and stock consideration valued at $3M – seller side. Counseling and researching positioning for acquisition and effects of various transaction structures. Experience with analyzing shareholder vote requirements in merger with hostile shareholders. Drafting documents for newly created entities including stock option plans, non-compete agreements, consulting agreements, operating agreements and corporate governance documents. Lauren stays in touch with friends by hosting casual dinner parties for 10, usually cooking Italian. She and her husband, Brian, hike the area with their red lab, George Washington. And she’s a Denver Broncos fan. 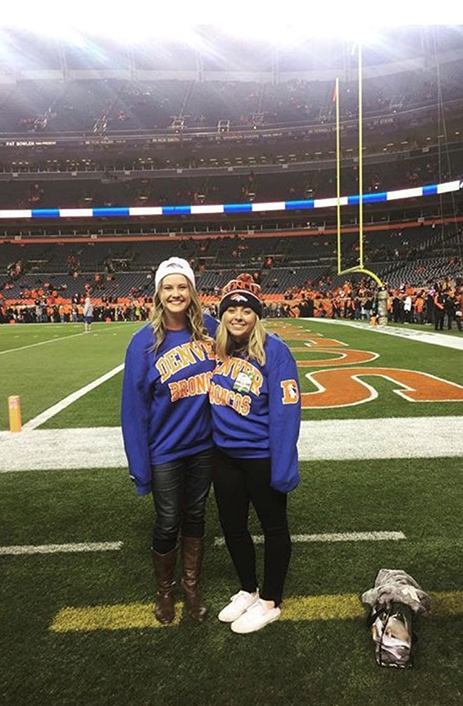 Attending a Denver Broncos home game with friend Nikki Sullivan, a Vanderbilt law student. 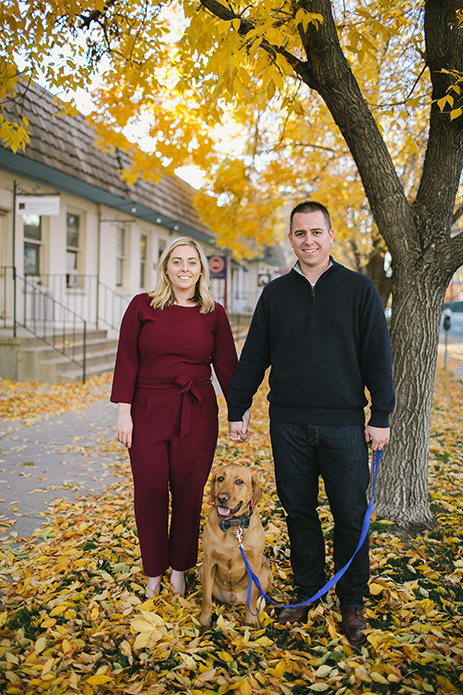 Lauren; husband Brian; and their red lab, George Washington. 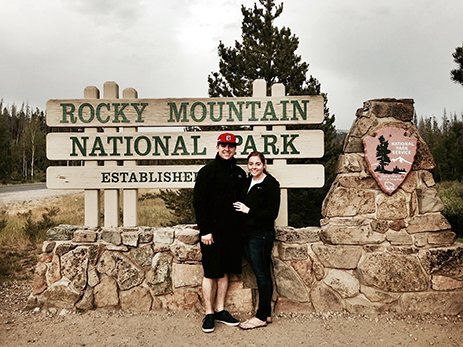 Lauren and husband Brian hiking Rocky Mountain National Park.